3/ JEFF MASON (beginning at 4:27:16): "Thank you. Mr. President, you tweeted this morning that it's U.S. foolishness, stupidity, and the Mueller probe that is responsible for the decline in U.S. relations with Russia..."
4/ "...Do you hold Russia at all accountable for anything in particular? And if so, what would you, what would you consider them - that they are responsible for?" 5/ DONALD TRUMP: "Yes I do. I hold, ah, both countries responsible. I think that the United States has been foolish. I think we've all been foolish. We shoulda had this dialogue a long time ago, [deep inhale] a long time, frankly, before I got to office..."
6/ "... And I think we're all, ah, to blame. 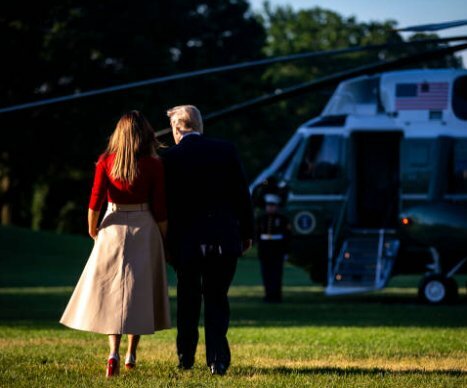 I 'ink that the United States now has stepped forward, along with Russia - and we're getting together and we have a chance to do some great things, whether it's nuclear proliferation in terms of stopping, we have to do it..."
7/ "... 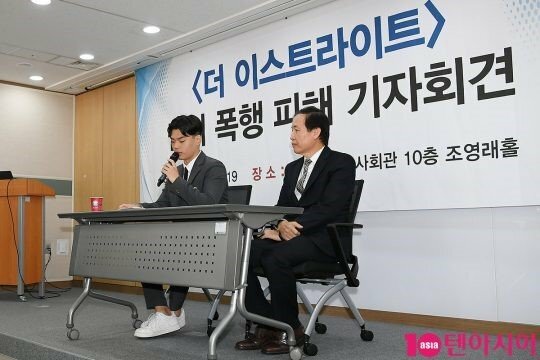 Ultimately, that's probably - the most important thing that we can be (Scratches four times in front of his right ear, 4:28:05 - 4:28:07) working on." 8/ "But, ah, I do feel that, ah, we have both made some mistakes. ∆ (Begin fig leaf, 28:14) I think that thee, the probe is a disaster for our country. I think it's kept us apart. It's kept us separated..."
9/ "...There was no collusion - at all Ω (4:28:25, left eyebrow raises). Ah, everybody knows it. Ah, people are being brought out to the fore." 10/ "Ah, so far, that I know, virtually, none of it related to the campaign. And they're gonna have to try really hard to find something that did relate to the campaign..."
11/ "That was a clean campaign. I beat Hillary - Clinton easily and, frankly, ah, we beat her ∆ (End Fig leaf, 4:28:46) - and I'm not even saying from the standpoint, we won that race. And it's a shame there could even be a little bit of a cloud over it..."
12/ "... Ah, people know that. People understand it. But the main thing — and we discussed this also — is zero collusion. It has had a negative impact upon - the relationship of the two largest nuclear powers in the world..."
13/ "... We have ninety percent of nuclear power between the two countries. It's ridiculous. It's ridiculous what's going on with the probe." 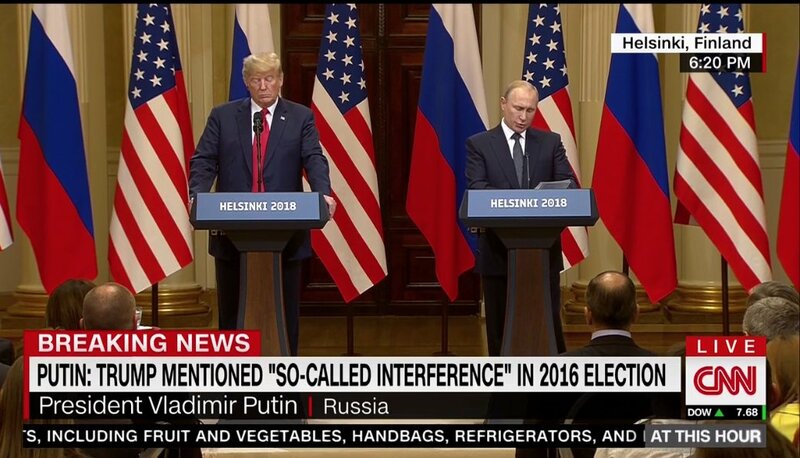 14/ During 4:27:44 - 4:27:46, Vladimir Putin displays a Tongue in Cheek dynamic, just AFTER Donald Trump says, "Yes I do. I hold, ah, both countries responsible. I think that the United States has been foolish...."
15/ "... I think we've all been foolish. We shoulda ..." and AS Trump says, "had this dialogue a long time". 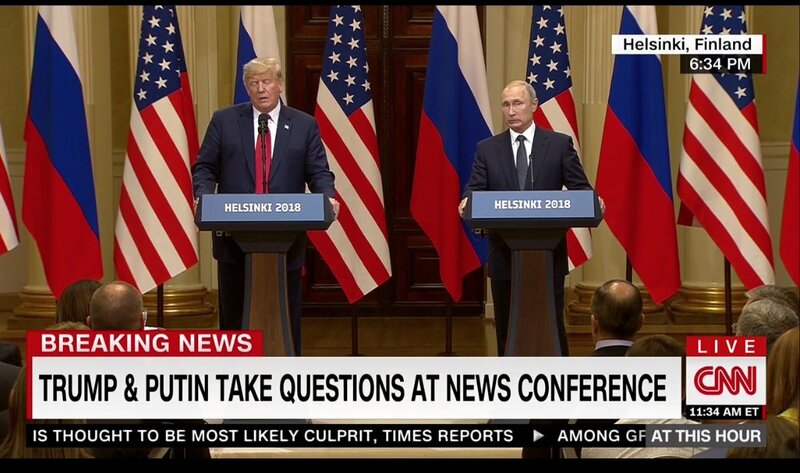 16/ Putin displays another Tongue-in-Cheek nonverbal as Trump is saying, "long time, frankly" (during 4:27:47 - 4:27:49). 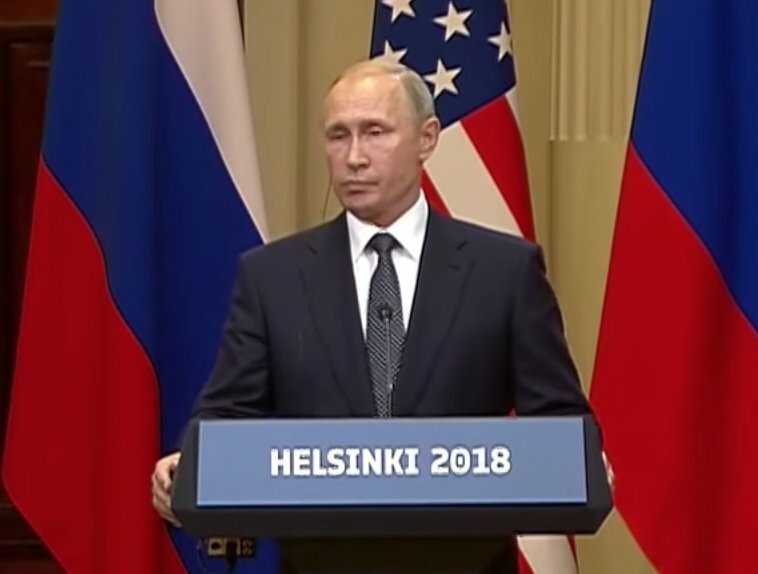 17/ Yet another Tongue-in-Cheek display is manifested by the Russian President as Trump says, "But, ah" (4:28:08 - 4:28:09). 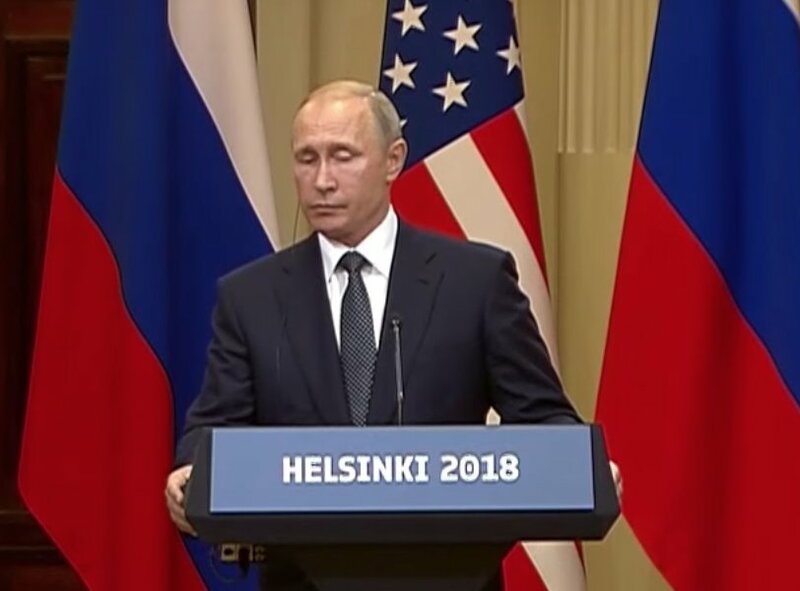 18/ And Putin displays a fourth Tongue-in-Cheek display as Trump is saying, "I think it's" (during 4:28:19). 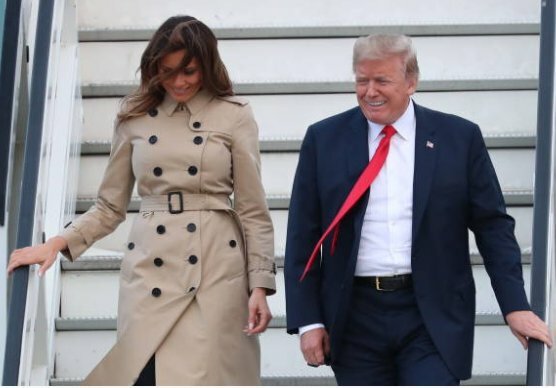 19/ In this context, a Tongue-in-Cheek display is a strong nonverbal indicator of the thought-emotions of "I Just Won" - or more colloquially, "I gotcha"! There's also a significant emotional tone of smugness projected with the Tongue-in Cheek dynamic. 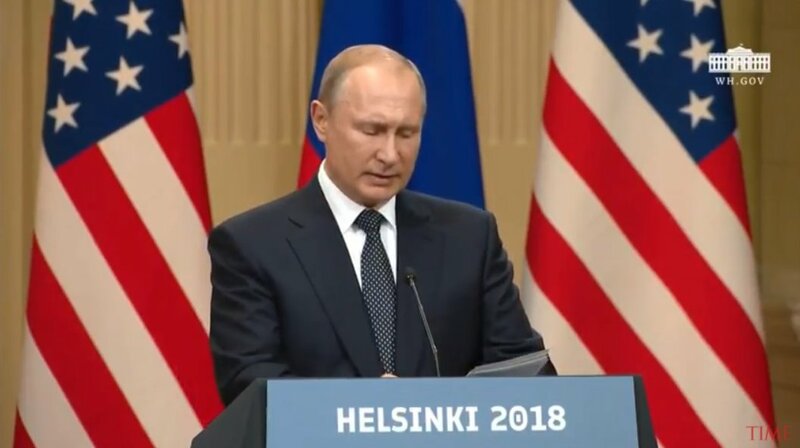 20/ During 4:28:05 - 4:28:07, just after Donald Trump says, "... whether it's nuclear proliferation in terms of stopping, we have to do it...", Vladimir Putin scratches the region just in front of his left ear. 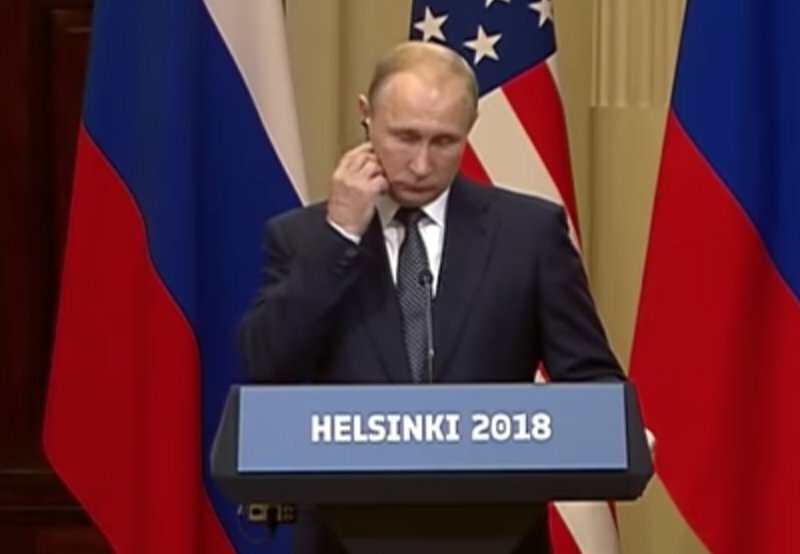 21/ When displayed by a person who is listening (here, Putin), this specific signal is highly indicative of hearing someone (Trump) say something with which they disagree - or something they believe to be an attempt at deception. 22/ Intriguingly, the number of scratches in front of the ear is virtually always four to six. Vladimir Putin scratches four times. 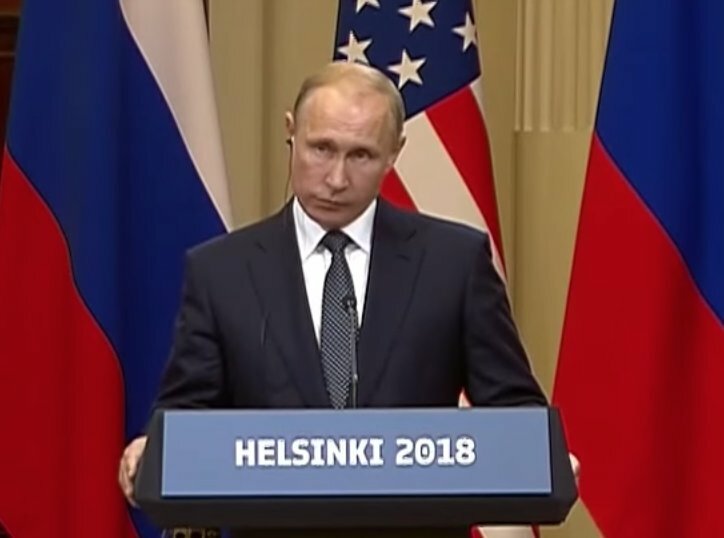 23/ Just after Donald Trump says, "There was no collusion - at all" (during 4:28:25 and notated above with the Ω symbol), Putin's left eyebrow raises. 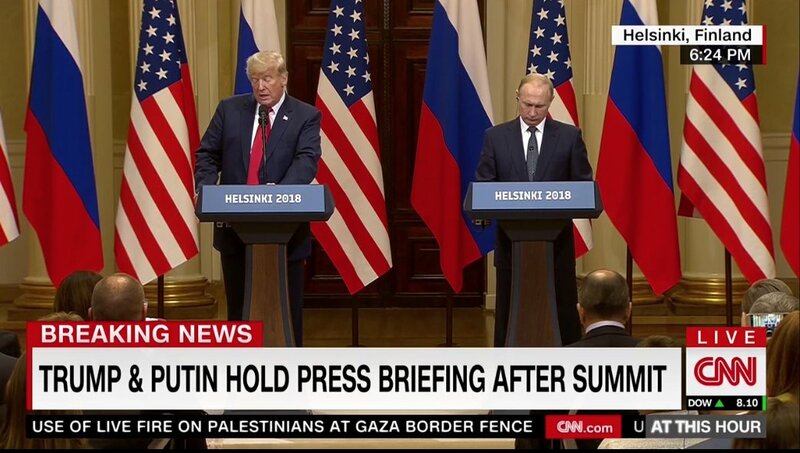 This is a strong nonverbal signal that Putin does not believe Trump's statement. 24/ In this context - when it's being displayed by the alleged co-conspirator - in real-time, during an active denial - this facial display is an absolute red flag. It's an air raid siren blaring six inches away. 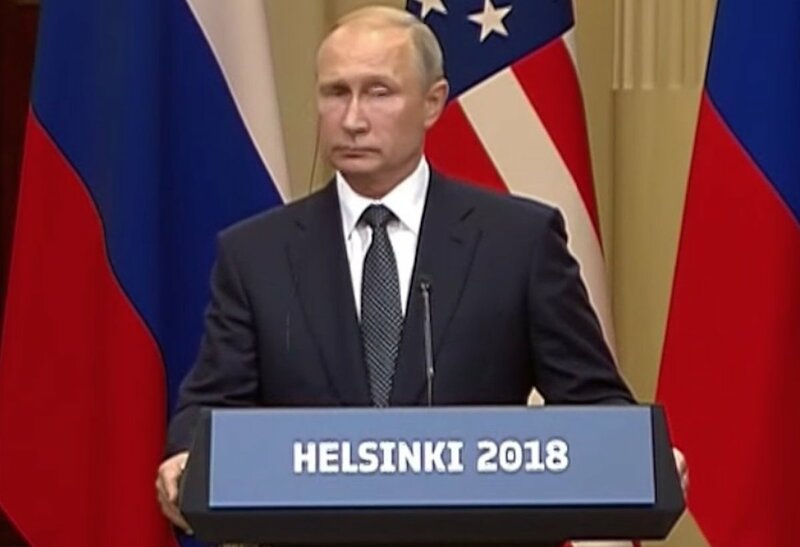 25/ Please watch this expression on the video to fully appreciate the dynamics and context of Putin's facial display. 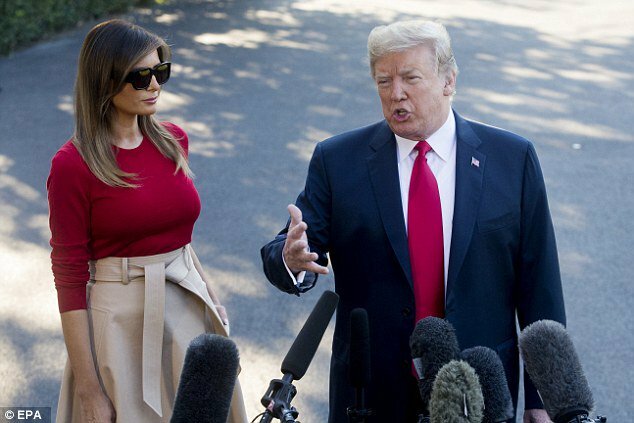 26/ If we pan-out the camera and look over at Donald Trump, we notice that Trump's hands are retracted posteriorly and withdrawn to the center of his body. They had previously been holding the sides of the lectern (toward the front). 27/ In this segment, he maintains this posture from 4:28:14 through 4:28:46 (notated by ∆ symbol). 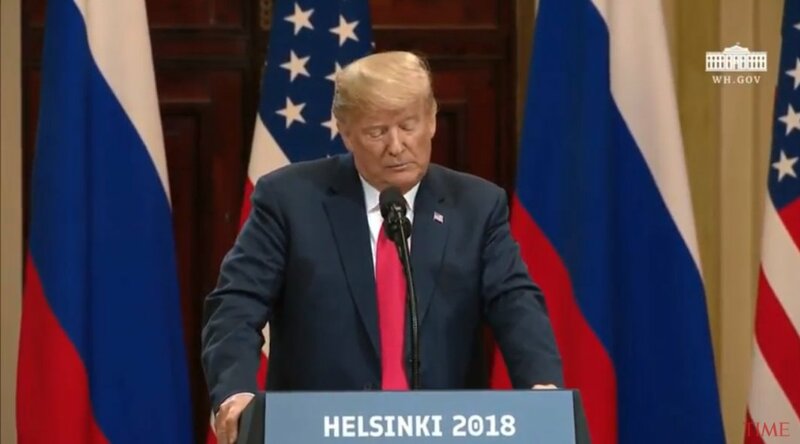 The subjects about which Trump was speaking during this time include Robert Mueller's investigation, allegations of collusion, his 2016 presidential campaign, & Hillary Clinton. 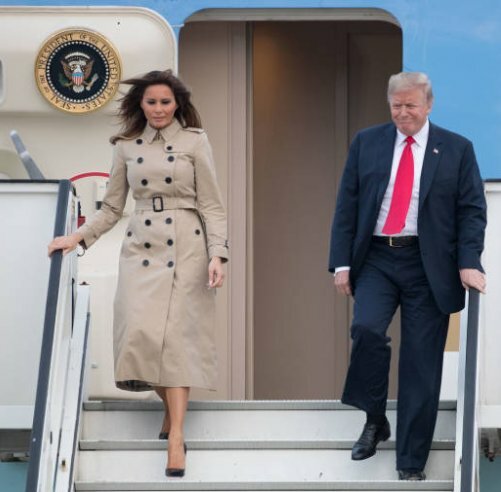 28/ Although we cannot see his hands directly they are either in a Fig Leaf configuration (also known as Genital Guarding) - or very nearly so. 29/ The fig leaf is a particularly Beta body posture. When we see this dynamic change, it projects weakness and vulnerability to the subjects being discussed. 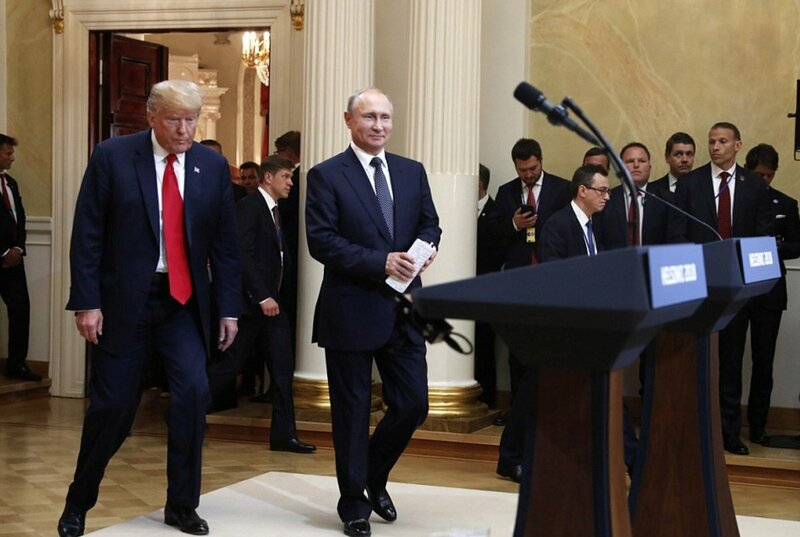 30/ Moreover, when standing on stage with another person, the one displaying a fig-leaf is signaling his subordination. 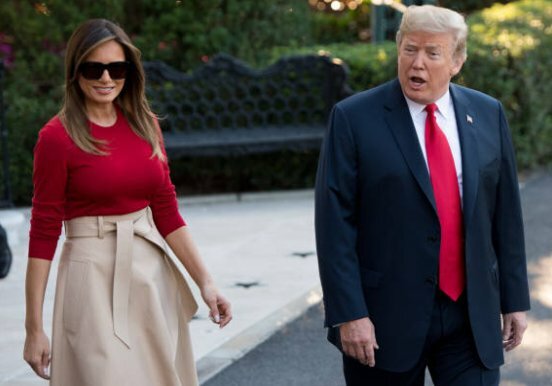 The American President feels he is Putin's subordinate. 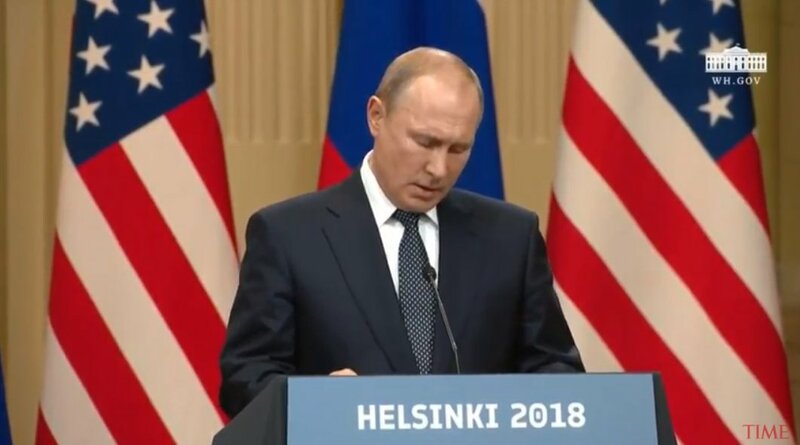 31/ SUMMARY: Analysis of Vladimir Putin in the above-described video segment of The Helsinki Summit, demonstrates that the Russian President's thought-feelings indicate that he strongly believes he has won the game he is playing with Trump. 32/ Alarmingly, this evaluation also shows that Putin believes that nuclear proliferation should NOT be curtailed - and/or he believes Trump is lying when Trump is saying this. 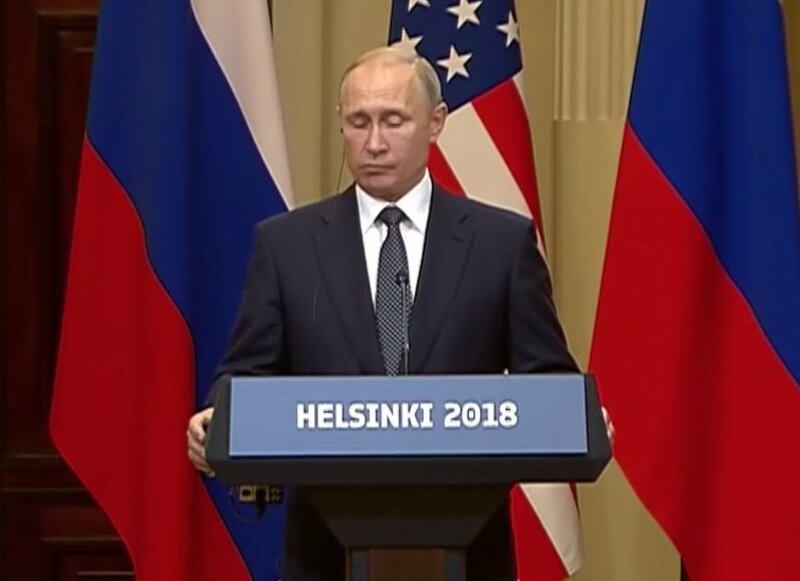 33/ In addition, and of profound importance, Putin does NOT believe Trump's statement, "There was no collusion - at all". 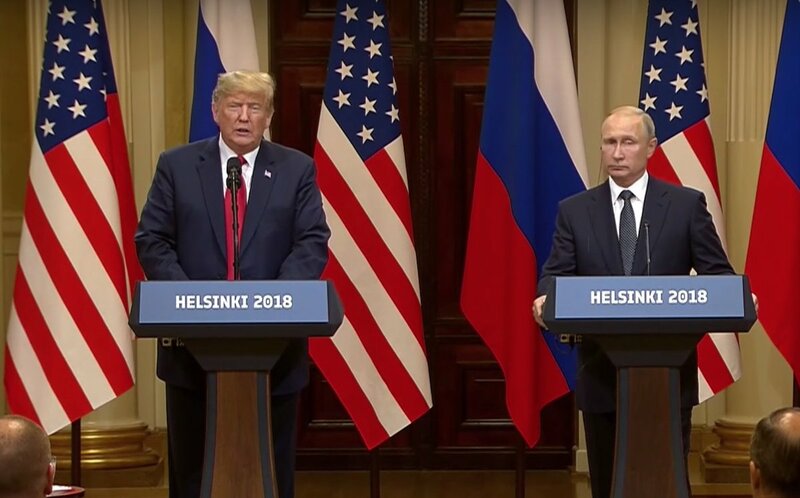 34/ Because the alleged collusion on Trump's part would have to have been coordinated with and conducted by Putin and/or his surrogates, this finding nonverbally indicts both leaders. 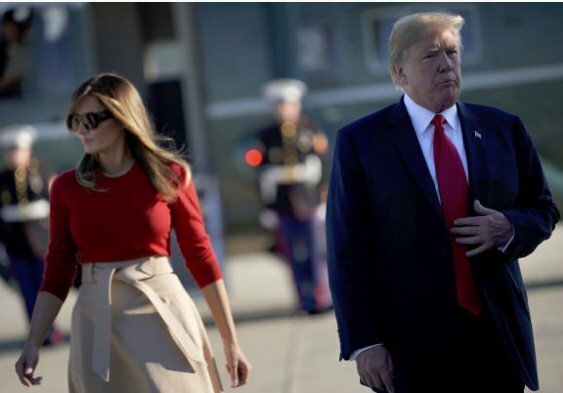 35/ Moreover, this nonverbal analysis also demonstrates that Donald Trump has significantly low confidence with regard to his 2016 campaign, the results of the Presidential Election, Hillary Clinton - & toward the investigation led by United States Special Counsel Robert Mueller. 36/ In addition, and profoundly, Trump himself feels that he is Putin's subordinate. Thread: 1) Investigate everything but the real crime. 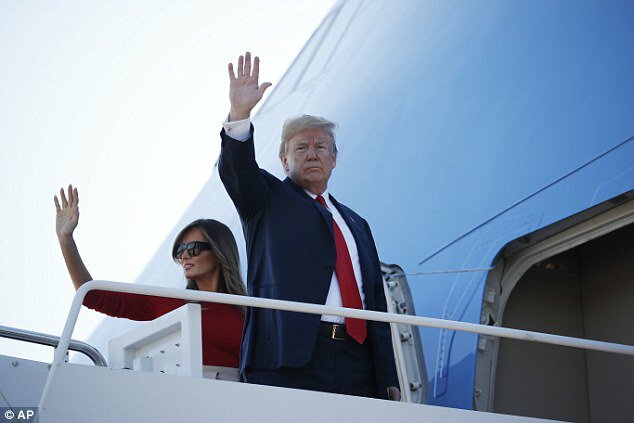 (1) #TeamTrump #PhotoThread: Visit to Europe July 2018 - Part I. 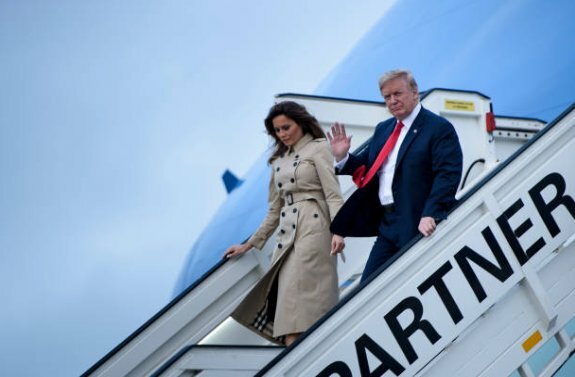 First stop, Brussels, then on to London, Scotland and the #HelsinkiSummit with Russia. (2) Leaving for and arriving in Brussels. 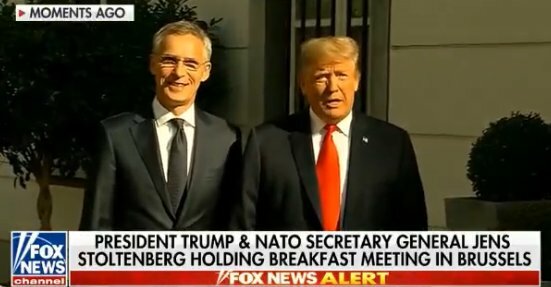 (3) A VERY strong start to the day in Brussels, when POTUS ate Germany for breakfast ,with Jens Stoltenberg (NATO head) sitting across the table. Good times!